Envision3’s 2016 NCAA Tournament Bracket Winner – The Cary Company! There are a few things Envision3 loves more than great American sporting events and using great paper stocks on the offset quality of the HP Indigo Digital Press. 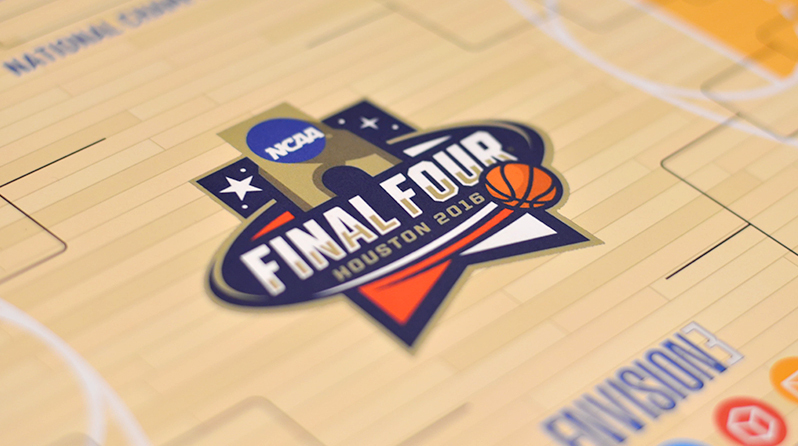 Envision3’s second annual NCAA Basketball Tourney Bracket Challenge gave us the perfect opportunity to have some fun with our local clients while highlighting Masterpiece Graphix’s exciting new wood veneer stock. Like last year, we printed and distributed bracket sheets to our clients on an Indigo-certified, real wood product. Response was overwhelming and we’re proud to announce The Cary Company as this year’s winner of the fully catered Portillo’s lunch! Second and third prize winners were Kramer Tree Specialists and Eagle Falls Dentistry. Congrats and thanks to everyone for playing! Occasionally, a special paper stock crosses our desk and last year, our marketing and sales team were introduced to a cool new wood-veneer paper stock produced by Masterpiece Graphic. For the second year running, we featured this paper in our 2016 NCAAA Basketball Tourney and like last year, it looked great and performed impeccably. Pair this great stock with Envision3’s HP Indigo Digital Offset quality and the results were outstanding. Envision3’s Indigo press allows us to produce beautiful, fully-personalized brochures, mailers and other pieces from a databased list.